For example, the name of this flexible telecommuting jobs business is FlexJobs -- which alludes to the service the business offers. 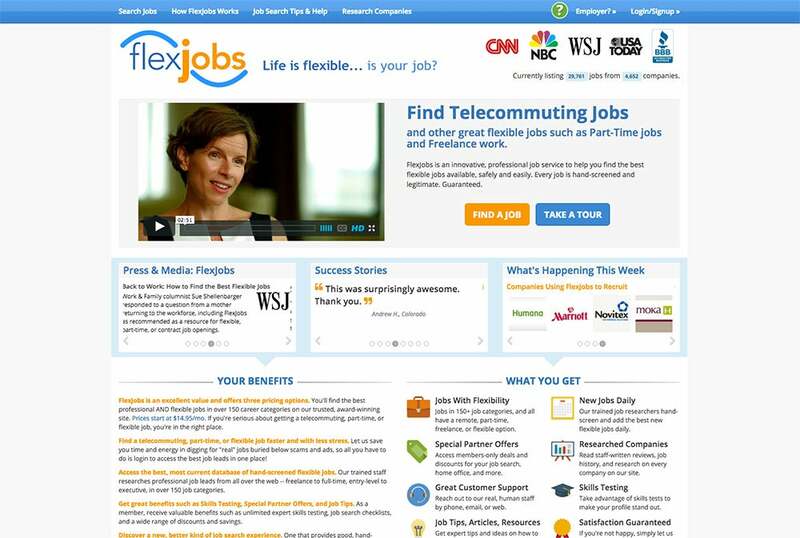 Also, at the top of its website’s homepage, it clearly states: “Find telecommuting jobs and other great flexible jobs such as part-time jobs and freelance work.” You know what you will get with FlexJobs. Whether your services-based business model lends itself to an off-the-shelf ecommerce platform -- or whether you will have to hire a developer to build your platform -- will become obvious as you plan. To guide you, look to those websites already doing what you want to do in the same industry, and look for ones that provide positive user experiences. 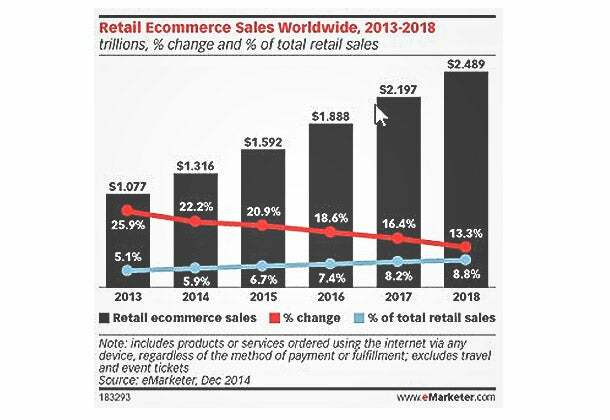 The famous Field of Dreams quote “If you build it, they will come” doesn’t apply to ecommerce businesses -- or any business, for that matter. But if you build your site with some strategy that’s targeted toward your audience and keep tweaking your product and website according to feedback and performance, your efforts are in the right direction. 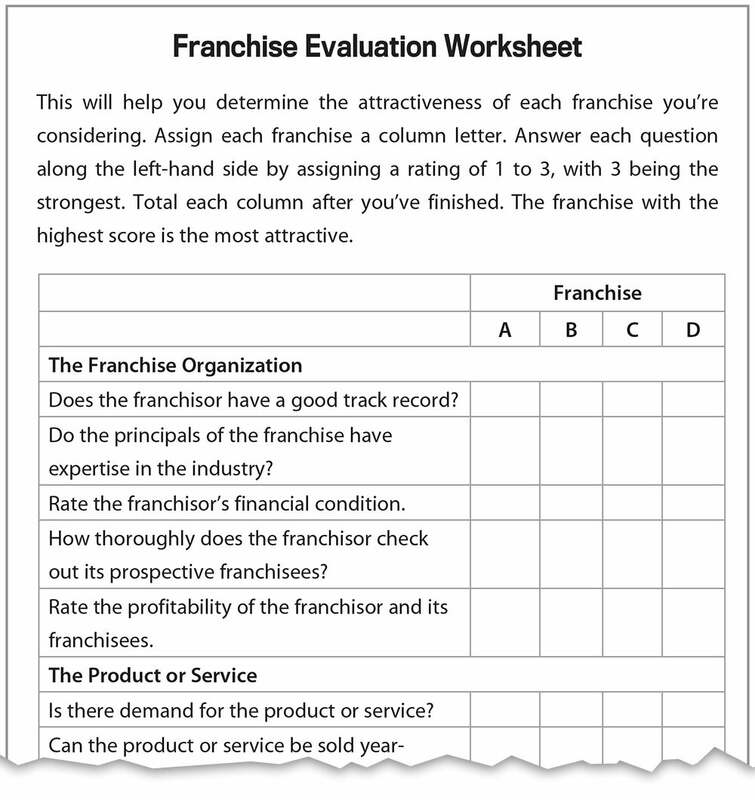 One of the main draws of franchising is that it’s based on a system of duplicable business processes with a proven track record. Josh Brown, a franchise consultant and lawyer, recommends gauging your personal and professional experiences, your expectations and cash in hand -- and see whether these are aligned with owning a franchise in an industry of interest. It’s also important to go beyond the FDD; Libava highly recommends talking to 10 to 15 franchisees who own the franchise you’re interested in -- and visit at least two in person. Well, buying one is typically more expensive than building from scratch. What’s been built into the deal -- inventory, policies and work methods -- may be obsolete or part of the reason why the business is being sold off. 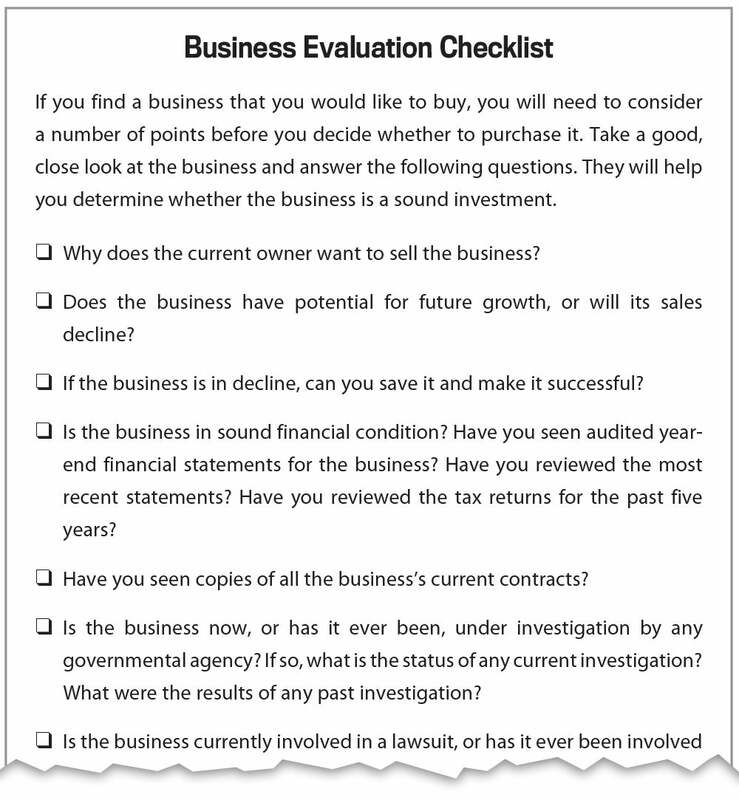 Also, watch out for legal liabilities and/or liens that come with the business. 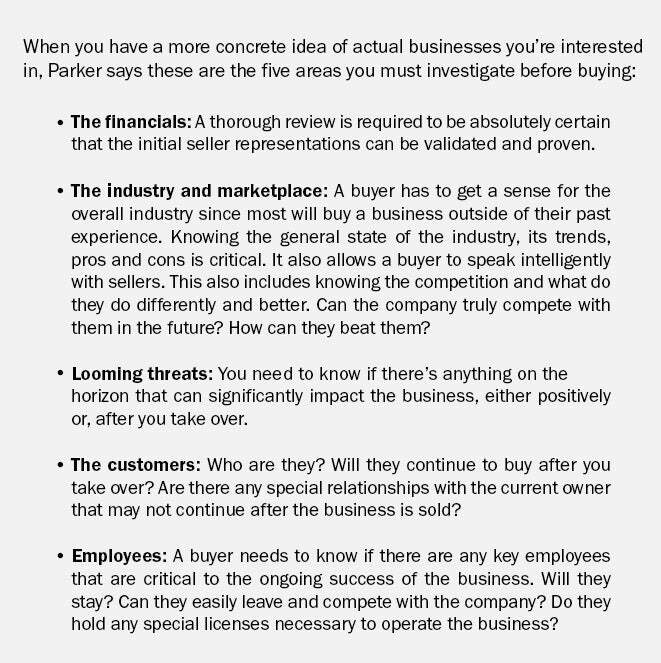 While the seller is supposed to disclose liabilities contingent and otherwise -- it’s also possible that the seller isn’t aware of some himself. This is where a competent attorney is handy, to do a thorough lien search and make sure the seller is selling the assets free and clear.